New York actor and playwright Robert Galinsky is currently in Los Angeles to perform his off-Broadway hit solo show, The Bench. 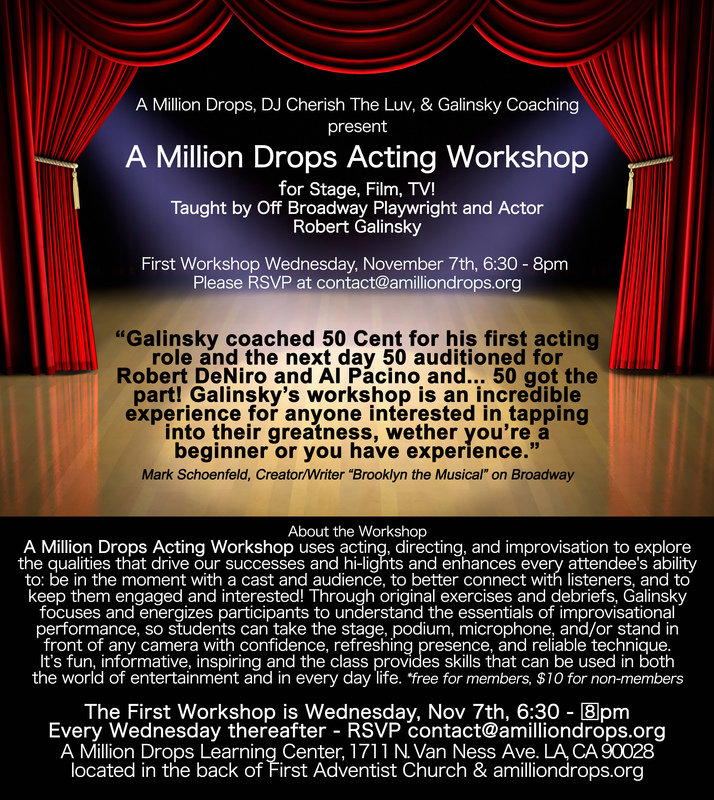 We are super excited to have him at the A Million Drops Learning Center for a weekly acting workshop. Free to members, all else pay $10 at the door.